Robert A. Shaw is a Partner in the New York City office. Mr. Shaw came to the ADM after seven years as General Counsel and Special Assistant Corporation Counsel to the New York City Department of Transportation. 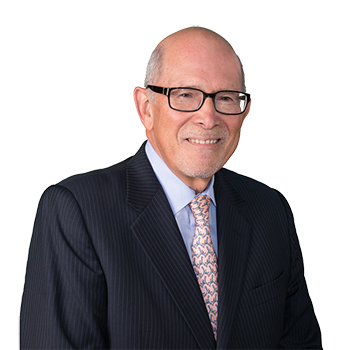 Mr. Shaw used his administrative abilities gained there to supervise the early development of our New York City office, which now has over 30 attorneys. A very capable and respected trial lawyer, Mr. Shaw has been a fixture in Bronx County for more than twenty years. The trial of the most high exposure and complex cases in Bronx County are Mr. Shaw's responsibility. Mr. Shaw has been either Chairperson or a member of the Insurance Law, Civil Courts and Judiciary Committees of the Bronx County Bar Association. On July 1, 2002 he was elected President of the Association for its 100th year, the first attorney in the Association's history to have a practice representing defendants in civil actions. Mr. Shaw is a frequent lecturer to various bar and industry groups including the Bronx County Bar Association Continuing Legal Education Program, and he has also served as a panel member for a "New Judges' Seminar" presented at the New York State Judicial Institute.